I was reading an article in a local paper about a planning conference that took place recently and I had a good laugh. Looks to me like the adults have lowered to a level of childhood dreaming. Looks to me like planning will no longer be of the people by the people and for the people it will be “of the UN by the UN for the UN”. A neat little organization called the Project for Public Spaces, a non-profit organization that helps communities create public spaces based around the concept of “placemaking.” This organization I am sure came with strings attached (Federal money) and a mandate to follow the procedures and guidelines laid out. This all fits in with social engineering and changing the way people think about our government officials and what they actually do. These nice feel good measure might include reclaimed chalkboards to put into a park. Other feel good ideas that actually have been implemented are, public art, community gardens, bike lanes, etc. City planning has always been done top down: they announce to the public what they will do, then implement the project. This has been called the “DAD” approach (decide, announce,defend). But with e the new concept it will be “POP” what the people want (public owns project). This could include experimenting to see what the public likes. Like a temporary park, for instance, if the people do not like it then scrap it. Put up art and see again, oops maybe not take it down. Little events (of some sort) maybe again the people don’t like it. Now how much money has been spent on trial and error? But according to the “Project for Public Spaces” This is a better way of planning. GERMAN ministers have said they will bring in an effectual ban on the burka by making it illegal for women not to show their faces in public. Senior members of Angela Merkel’s ruling coalition struck a compromise after the leader expressed unease about the full face veil, but appeared to come out against officially outlawing it. They will now not legally ban the burka, but will instead bring in new laws requiring people to show their faces in public streets as well as in courts, offices and schools, which will effectively render the garment illegal. Eminent Domain rears its ugly head again…..
How soon the American public forgets……. It was not to long ago that people on the east coast were having their property taken away by eminent domain, all for the purpose of increased tax dollars. The couple that had their house taken away from them all for a shopping mall. 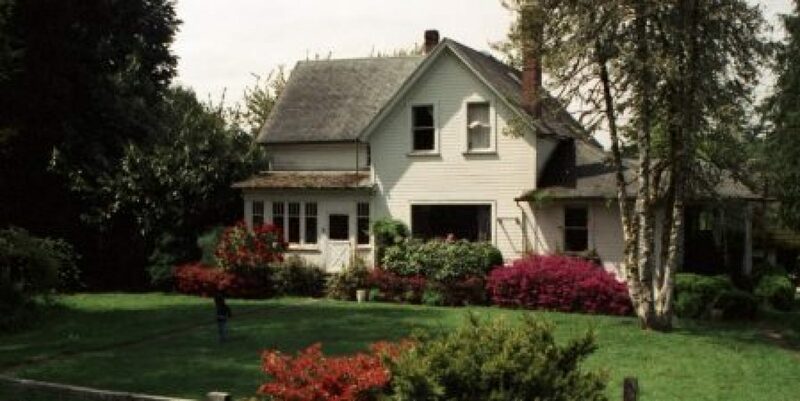 The house was bulldozed and the land sits empty. You may think this is all a good idea for more taxes to go to public needs. The biggest problem with this issue is that when the government or a non-profit does it the price they offer for the luxery to eminent domain someones property is pennies on the dollar. There is no fair market value offered. Once an eminent domain form is signed by the owner they have to accept what is given there is no negotiating price. It is called the legal form of “take it or leave it”. I repeat there is nothing FAIR about it. Now we have another government organization saying they will eminent domain property on an indian reservation with a long stand treaty to not be disturbed. The corporations involved with the pipeline cutting right thru Standing Rock reservation land are stickin’ it to the indians again. This time the corporations are saying that the oil pipeline is more important than the indigenous people. Where is the UN Agenda 21 committees on Indigenous people. THE ARMY CORPS OF ENGINEERS HAS NO AUTHORITY IN OUR STATES! Once again whitey is breaking a long-standing treaty with the native people. 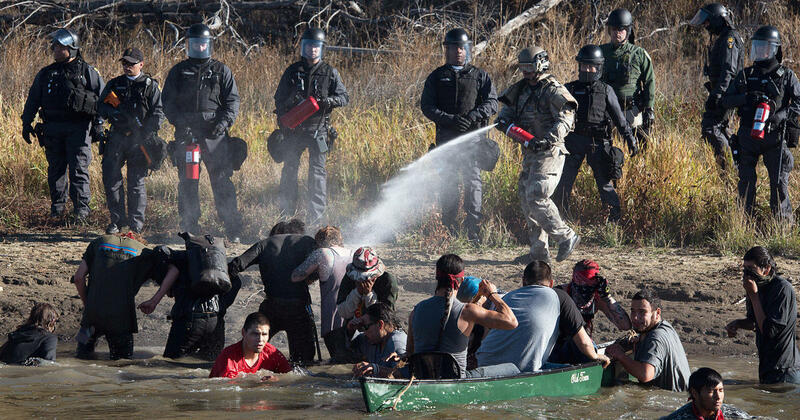 This issue is not just about the native people it is about the issue of eminent domain and big corporatism. This eminent domain is against all precepts of our constitution. It is also ethically wrong to just take people’s property to achieve some corporations lust for more. This is no difference between the Hammonds in Oregon and the Standing Rock issue.. You may say it is very different but when you find out why things are being done it boils down to corporate money. The Hammond land was/is holding up the Uranium mining. The Standing Rock issue is holding up big corporate oil companies and big bankers. Just like the BLM the army corps of engineers do not have a legal right to own land in any state. See the same thing happening! All for a corporation! What on earth is the Army Corp of Engineers doing acquiring land for corporations anyway???? This Army Corps of Engineers is not even a legitimate or legal entity that should be telling the American people what they can and cannot do. I will bet you that any documentation and permits that were required by them were passed with flying colors. I will also bet you that no mitigation plan for said pipeline was done with DUE DILIGENCE at all. What authority do they have in our states. Did the mitigation plan include the purchase of land afected by the pipeline probabaly not. This information would be found in the environmental impact statement done by the lead entity of the project. This shows the connection with the Uraniom in Oregon sold to “Uranium One” The Hammonds should never have been talked to by the Feds. Mr Hammond should never be fined or put in federal prison. Today WikiLeaks begins its series on deals involving Hillary Clinton campaign Chairman John Podesta. Mr Podesta is a long-term associate of the Clintons and was President Bill Clinton’s Chief of Staff from 1998 until 2001. Mr Podesta also controls the Podesta Group, a major lobbying firm and is the Chair of the Center for American Progress (CAP), a Washington DC-based think tank. Part 1 of the Podesta Emails comprises 2,060 emails and 170 attachments and focuses on Mr Podesta’s communications relating to nuclear energy, and media handling over donations to the Clinton Foundation from mining and nuclear interests; 1,244 of the emails reference nuclear energy. The full collection includes emails to and from Hillary Clinton. In April 2015 the New York Times published a story about a company called “Uranium One” which was sold to Russian government-controlled interests, giving Russia effective control of one-fifth of all uranium production capacity in the United States. Since uranium is considered a strategic asset, with implications for the production of nuclear weapons, the deal had to be approved by a committee composed of representatives from a number of US government agencies. Among the agencies that eventually signed off the deal was the State Department, then headed by Secretary Clinton. The Committee on Foreign Investment in the United States (CFIUS) comprises, among others, the secretaries of the Treasury, Defense, Homeland Security, Commerce and Energy. As Russian interests gradually took control of Uranium One millions of dollars were donated to the Clinton Foundation between 2009 and 2013 from individuals directly connected to the deal including the Chairman of Uranium One, Ian Telfer. Although Mrs Clinton had an agreement with the Obama White House to publicly identify all donors to the Clinton Foundation, the contributions from the Chairman of Uranium One were not publicly disclosed by the Clintons. When the New York Times article was published the Clinton campaign spokesman, Brian Fallon, strongly rejected the possibility that then-Secretary Clinton exerted any influence in the US goverment’s review of the sale of Uranium One, describing this possibility as “baseless”. Mr Fallon promptly sent a memo to the New York Times with a rebuttal of the story (Podesta Email ID 1489). 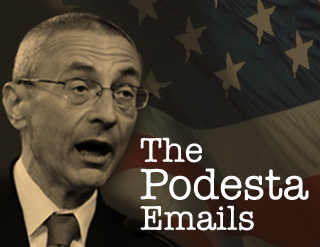 What the Clinton campaign spokesman failed to disclose, however, was the fact that a few days before sending his rebuttal to the New York Times, Jose Fernandez wrote on the evening of the 17 April 2015 to John Podesta following a phone call from Mr Podesta (Email ID 2053): “John, It was good to talk to you this afternoon, and I appreciate your taking the time to call. As I mentioned, I would like to do all I can to support Secretary Clinton, and would welcome your advice and help in steering me to the right persons in the campaign”. Five days after this email (22 April 2015), Clinton spokesman Brian Fallon wrote a memo to the New York Times, declaring that “Jose Fernandez has personally attested that ‘Secretary Clinton never intervened with me on any CFIUS matter’,” but Fallon failed to mention that Fernandez was hardly a neutral witness in this case, considering that he had agreed with John Podesta to play a role in the Clinton campaign. The emails show that the contacts between John Podesta and Jose Fernandez go back to the time of internal Clinton campaign concern about the then-forthcoming book and movie “Clinton Cash” by Peter Schweizer on the financial dealings of the Clinton Foundation. All forms of law except Natural Law (Law of Gravity, Law of Heredity, etc.) come from religion. This is because our religion establishes what we consider “right” and “wrong” and that in turn establishes our Law. Watching the planning going on in Butte, Montana. Things do not always look or sound as they seem. 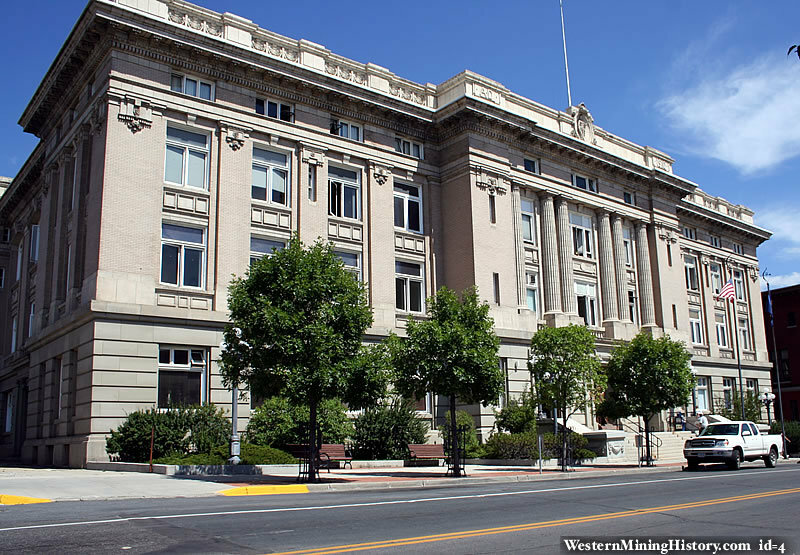 The planning commission or also the council will be implementing an ordinance that will allow the agency to impose fines on people who have an empty house. These type of restrictions will apply to houses not commercial buildings that have been sitting empty and are “dilapidated”. A fine of up to $500 dollars a day could be imposed on an owner if they do not comply with the law. This could mean re-roofing a house. This could mean tearing down a house this could mean painting a house. The agency in charge will be the enforcer of said ordinance. This is an ordinance not a law and is in the municipal code. Now these people say an ordinance is a law. But I beg to differ. These are not laws on the law books it is policies that a corporate enterprise is imposing on the people of the county and has no place with the people. I do think that many properties look bad but the county is not doing this to pretty up Butte. This is being done in order to quietly implement another notch in the UN charter called Agenda 21 also known as Agenda 2030. This wonderful organization called the planning commission is implementing the sustainable city. These cities will restrict what can be done in and around them. The bicycle lanes are just the tip of the iceberg. The next we will see is properties being confiscated by the county because a person will be unable to pay the exorbitant fines. These properties will go into a land bank owned by the county. And lo and behold this wonderful organization called Center for Community Progress will help the counties set up land banks. They will show the county how and help them with the process. The local paper did not tell you that little tidbit did they? The land bank will be for future growth and sustainable development for all. To make a safe and enjoyable life for all people’s. This type of drivel is exactly what the UN Agenda 21 charter tout as a driving force for communities to gain money thru grants from the FED. If the cities and counties do not use these planning resources they will not receive Federal funding to improve anything. Sooo I decide to attend a Council of Commissioner meeting where public comment is being heard. I was impressed the meeting opened with a prayer and the pledge of allegiance. I planned to only watch and listen to the issue. Of course after listening to the exchange with the council of commissioners and the man appointed to head up this agency , I decided to put in my “2 cents”. I proceeded to warn the council of commissioners that this was part of the Agenda 21 Strong cities, Strong Communities agenda of sustainable development and that they should tread lightly when considering implementing the “Vacant Buildings Ordinance”. The ordinance can carry up to a $500 dollar a day fine, until the owner comes into compliance with the ordinance. The Center for Community Progress is just another shill for the UN Agenda and is more than willing to help cities set up these ordinances and take people’s property and put it into a land bank. There were others who spoke in support of this ordinance yet they were reticent in their support. These people definitely had concerns that were not clear. Which I feel are warranted with such an ordinance. After the meeting I met a gentleman that told me of an issue where the Community Enrichment Agency used its heavy hand to remove, what they thought to be an abandoned car. The owner of the property had his car that was damaged by a vandal. The windshield was broken out and he had no time to fix it. So he chose to tarp the car (or cover it so snow and rain do not get inside) and left in completely on his own property. Two weeks later the car disappeared. The owner thought the car had been stolen. He reported it to the local officials. Ultimately the Community Enrichment Agency had towed the car ((STOLEN)) off his land. The Community Enrichment Agency contacted the owner and towed to a location of the owners choosing. According to the gentleman I was talking to there was no accountability for this heavy-handed enforcement.